Vietnam is in jubilant celebration as its U-23 national team advanced to the Asia Football Confederation (AFC) U-23 Championship final for the first time, eventually taking second place. 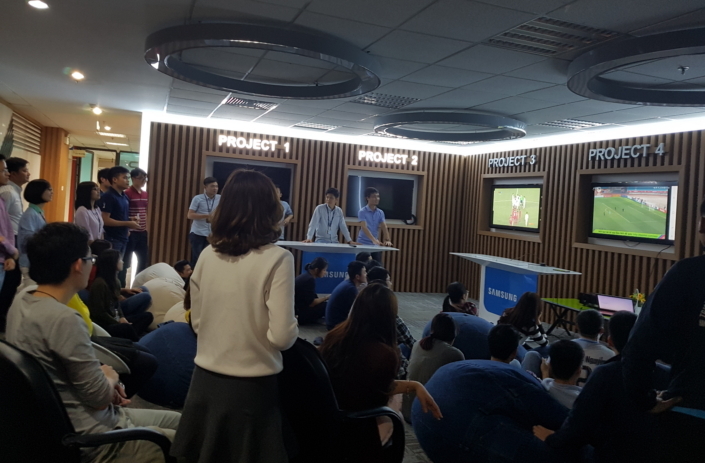 Samsung Electronics Vietnam employees joined the nation, cheering with fervor as their U-23 team marched through the knockout rounds. 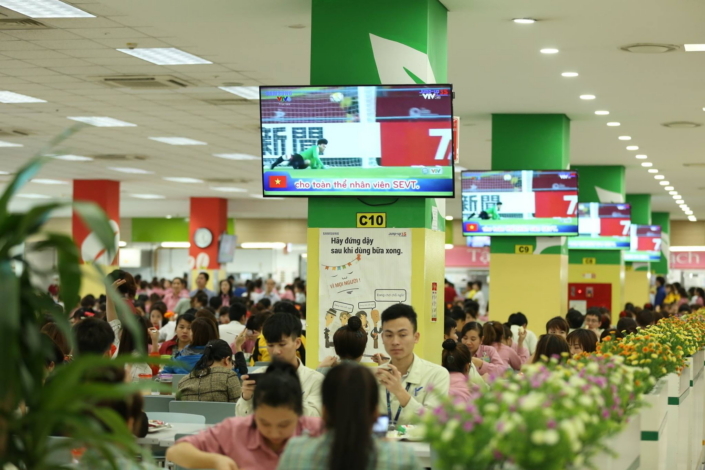 Samsung Electronics Vietnam employs over 100,000 across its manufacturing facilities in Bac Ninh and Thai Nguyen provinces and provides residence for 30,000 employees within its gates. Here, football (or soccer, depending on where you’re from) has been very popular even before the AFC U-23 Championship. 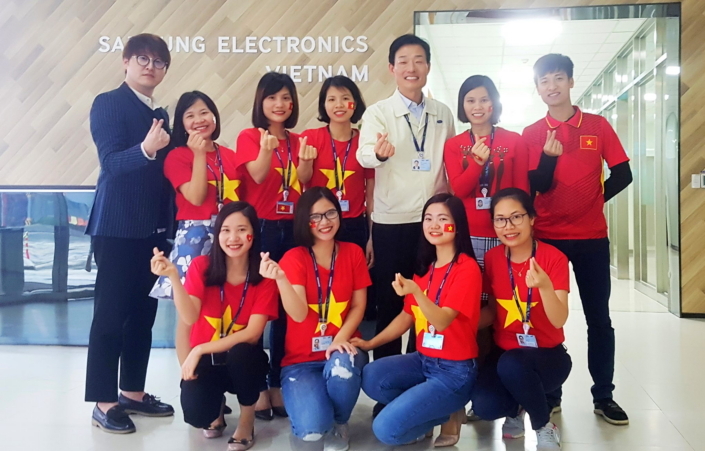 Already boasting a strong football culture within, anticipation grew to an unprecedented whirl of excitement in Samsung’s facilities in Bac Ninh and Thai Nguyen as the U-23 national team made history. Those who could got off early to join the crowds in the streets and watch the games. 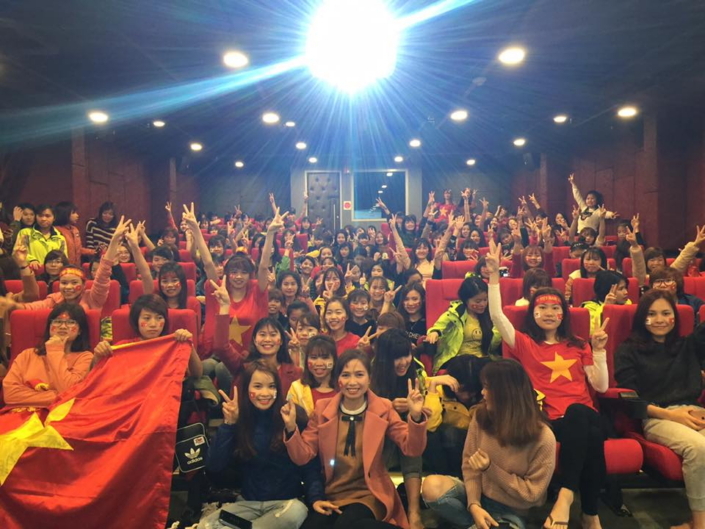 Those who couldn’t remained at Samsung where large screens throughout the facilities – TVs in cafeterias, displays in meeting rooms, and screens in monitoring rooms, auditoriums and even in-house movie theatres – were used to show employees the Vietnamese team’s games. 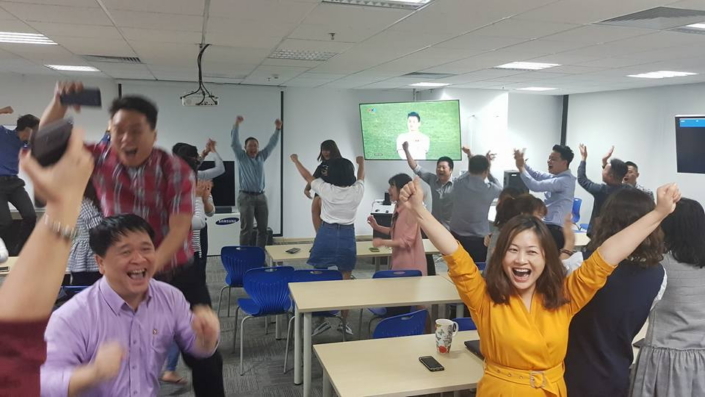 As the tournament proceeded, Vietnamese and Korean employees in the facilities developed a special bond as the 2018 AFC U-23 Championship closely resembled the 2002 World Cup celebrations in Korea. Sports have a special way of bringing people together and our colleagues in Vietnam were some of the most recent to experience that. For more information about Samsung Electronics in Vietnam, please visit Samsung Newsroom Vietnam at: https://news.samsung.com/vn/.